The thought of raising baby chickens from scratch can be a little nerve wracking, but like everything in life - being knowledgeable and well-informed makes the process infinitely easier. To help you along the way, we’ve put together this guide to the first 60 days of a baby chickens life- as these are perhaps the most important days to set up your chicken for a long life of good health! After spending 24-48 hours in the incubator post-hatch, the baby chickens will be moved to the pre-warmed brooder - where they will stay until they have grown and are strong enough to no longer require a heat lamp. During this first two weeks, the baby chickens will be very fragile and unaware of how to do...well...anything really! That means you as a ‘mother hen’ will need to teach them how to perform the necessities- eat and drink. This can be done by gently dipping their heads into the waterers and feeders. If you have some particular clever chicks on your hands, they might get the idea straight away, other times it may take a little more patience and persistence - but, we promise it won’t be long before the baby chickens will be able to eat and drink whenever they need to by themselves. For these first two weeks, the baby chickens will be growing their muscles and building up their strength! At first, their legs are fragile and weak, which is why the brooder needs to be lined with strips of paper towel. This gives the baby chickens a sure footing and stable flooring for them to build up their strength, with only a few slips and spills. Want to bring up chickens that love having cuddles with your own children? If you handle your baby chickens regularly, they will become accustomed to being petted and cuddled, and won’t stress or fret as adults when you try and pick them up. In the first 7 days, it’s best to leave them be as they are such fragile little creatures - but after that, try softly picking them up and lightly stroking them for small periods of time to get the ball rolling. Before you know it, they’ll be coming to you for some snugs! Look how fast I’m growing, mum! So we’re two weeks in and you’ll be amazed at how much the baby chickens have grown! They’ll virtually be double the size they were when they came out of the egg, if not larger. These two weeks are often the ‘teenage awkward’ stage - where they aren’t quite babies anymore, but aren’t fully grown either! Their feathers are a little patchy, and they’re starting to grow taller, but aren’t fluffy! They’re definitely still cute- in an oddball kind of way. By now, their legs will be strong enough to walk on shredded paper instead of strips, so you can replace the brooder bedding with finer shreds. 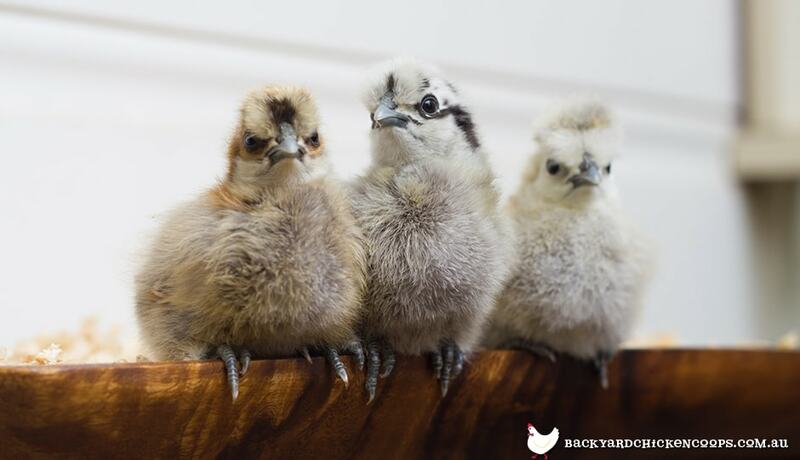 You can also start giving them little bits of outside-the-brooder time (not too much, they still need the comforts of the heat lamp for a little while longer!). Don’t be surprised if they stay still in fear at first - the big wide world is quite confronting for a baby chicken! Remember to keep handling your little ones so they don’t mind the odd pet or cuddle from their human owners. By now, the baby chickens should be eating and drinking as they please, without any encouragement from their ‘mother hen’. Just make sure that there’s starter feed and fresh water available to them in the brooder. 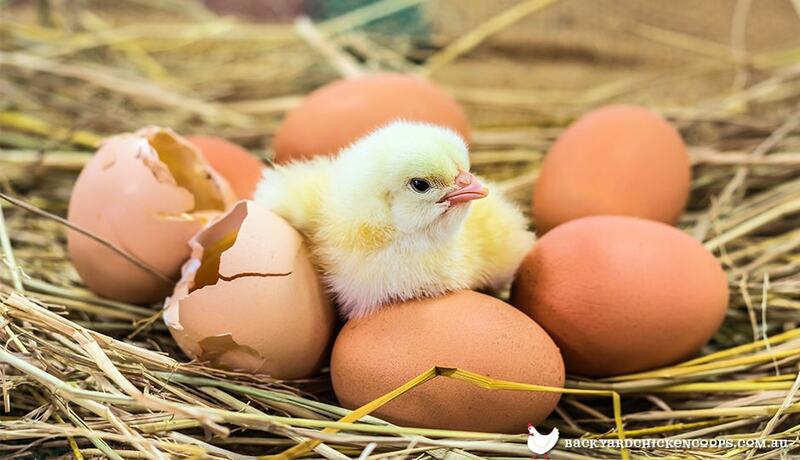 By now you will barely be able to recognise your little baby chicks, as they have virtually tripled in size! By week 6 they’ll have a full body of feathers and look like a small version of an adult (they’ve still got a little more growing to do before they’re full sized!). You’ll also notice that they’re looking awfully squishy in that brooder there! Week 6 is around the time you should move your little ones into their second home - a chicken coop fit for a fully grown flock! If the temperature is fairly average, then they’ll be able to last in the natural elements - plus their coop will offer them lots of ventilation which will help them adjust to their new lodgings. It’s always a good idea to get the coop before it’s time to move the baby chickens out - otherwise they’ll become so cramped in the brooder that they’ll start to stress! The size of your coop depends on how many chickens you have. If you were looking to have eight or more chickens, why not check out our Penthouse or Mansion range. By now your beautiful baby chickens have become young adults - or ‘pullets’ as the young ladies are now known! It will only be a few more weeks before your little baby chickens start laying their own eggs for your breakfast! 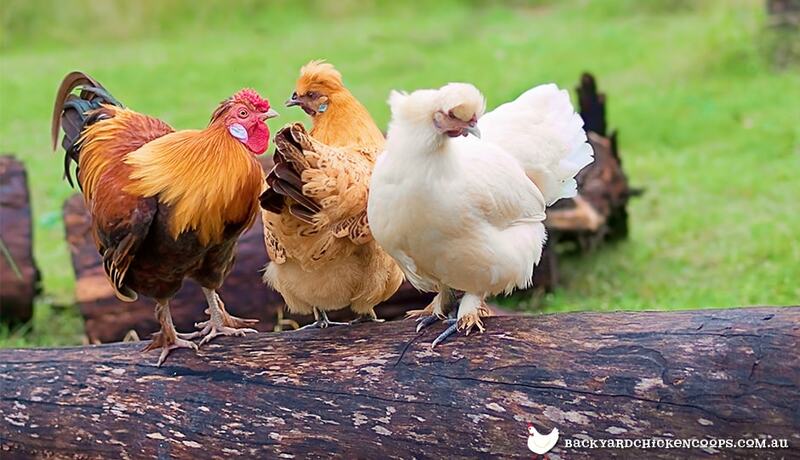 Oh, how wonderful the experience is of raising baby chickens to be a fully grown flock!